Graduate Aptitude Test in Engineering (GATE) examination successfully held on 10th Feb 2013 (Sunday). There are about 11 lakhs of students applied for the GATE examination 2013. 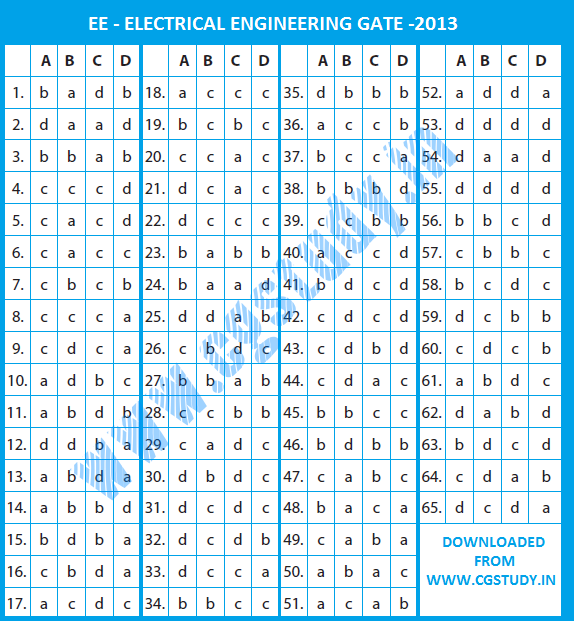 After the GATE 2013 exam, you may be looking for the GATE 2013 online and offline paper answer keys. 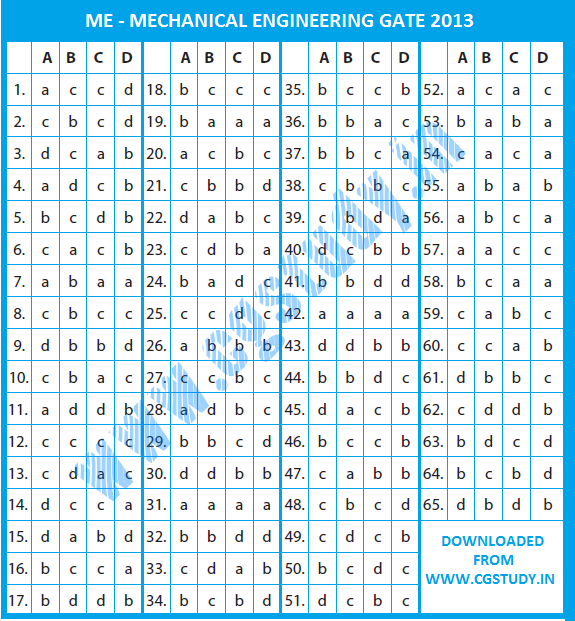 TheGATE Answer Key 2013 is provided by the Made Easy, GATE Academy and other GATE coaching institutions. 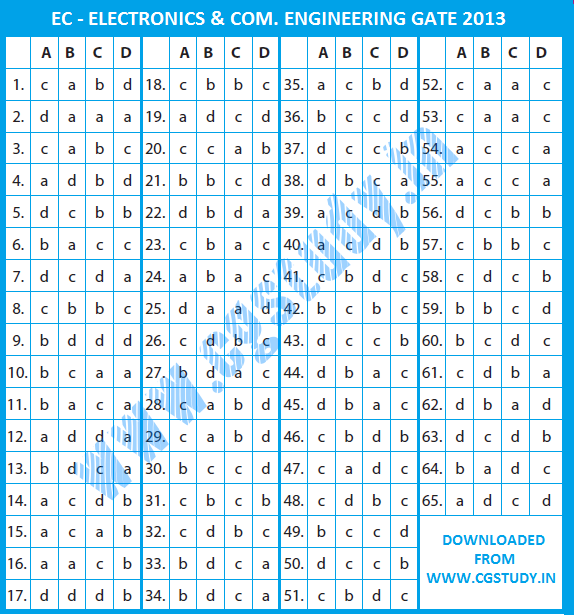 The GATE 2013 Answer key will be provided here separately for the all branches as CS, EEE, EC, EE, ECE, CSE, Civil etc., for the all sets as SET A, SET B, SET C and SET D.
Candidates who gave the offline exam (papers: CS, ME, PI, EC, EE, IN) will be able to view the image of the ORS and the responses captured by our software, between 1 March 2013 and 5 March 2013. More details on how to rebut the responses will also be available then.